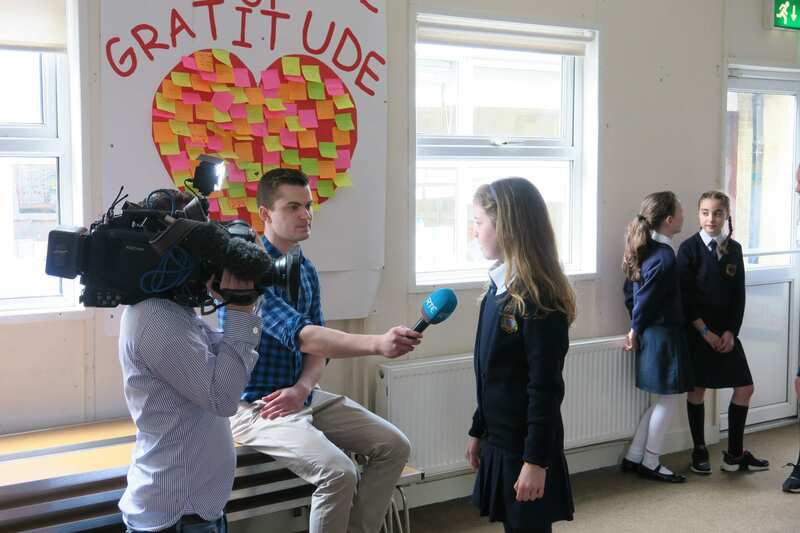 Children today face a wide range of challenges which have a significant impact on their well-being. Recent research indicates a significant increase in children presenting with anxiety and depression. 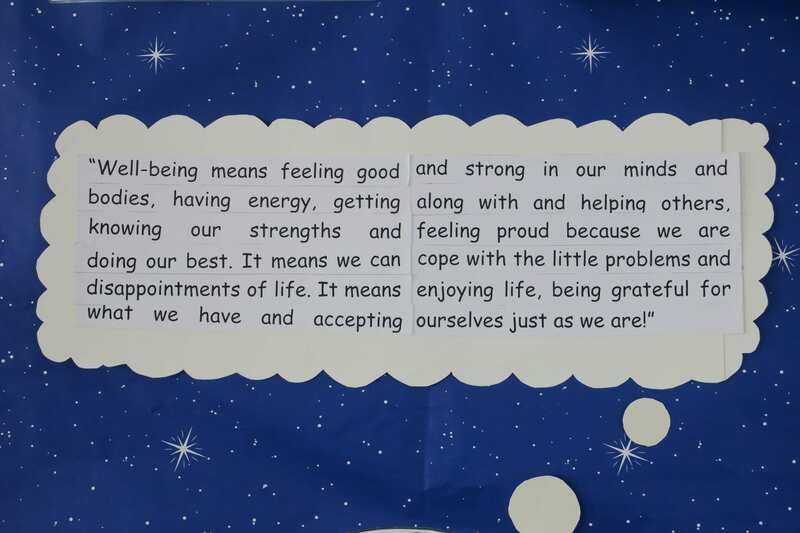 In response to this, the school has decided to introduce a whole school well-being initiative. 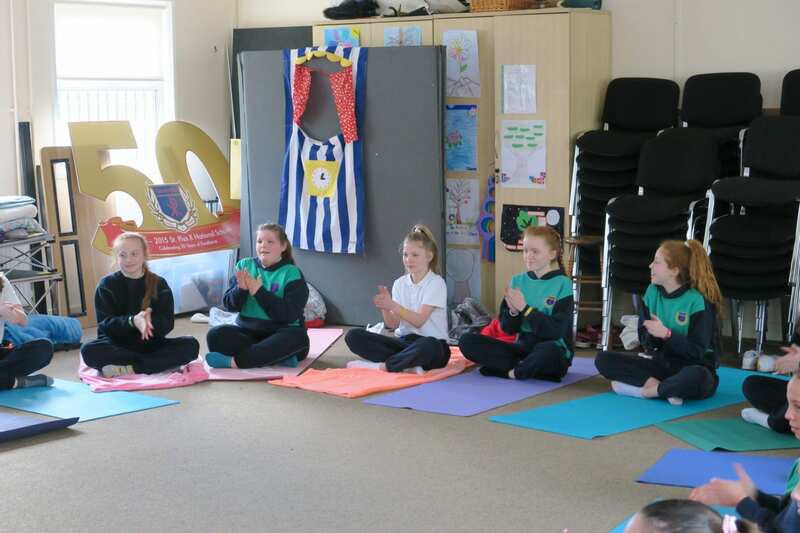 The girls will be exposed to a variety of strategies which, with practice will allow them to become creators of their own well-being. 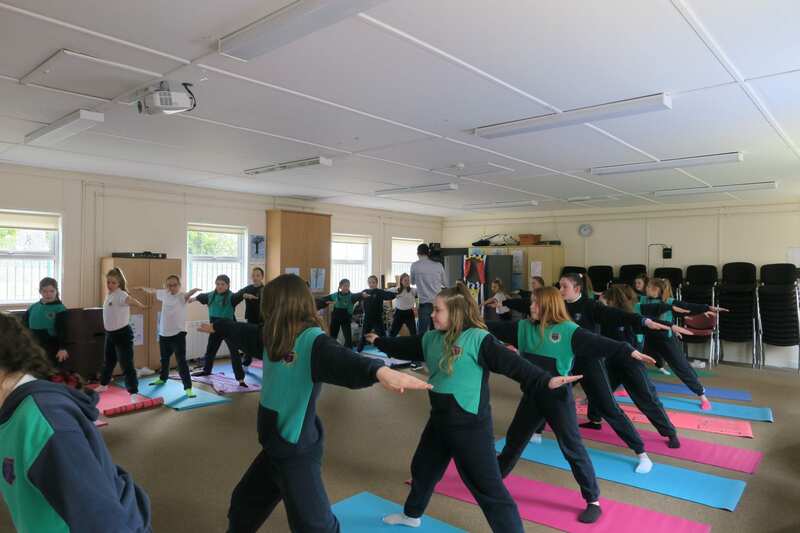 The initiative is designed to support and improve the girls’ social, emotional, physical and psychological well-being. 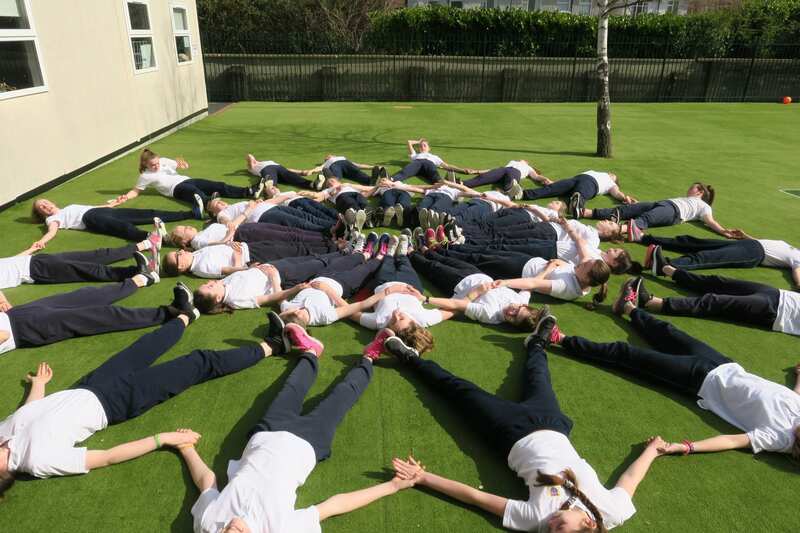 Ms. Robinson’s Senior Infants have been getting very active this year with camogie every Friday, P.E with Ms. Goddard and getting to use the fantastic yard games at lunch times! 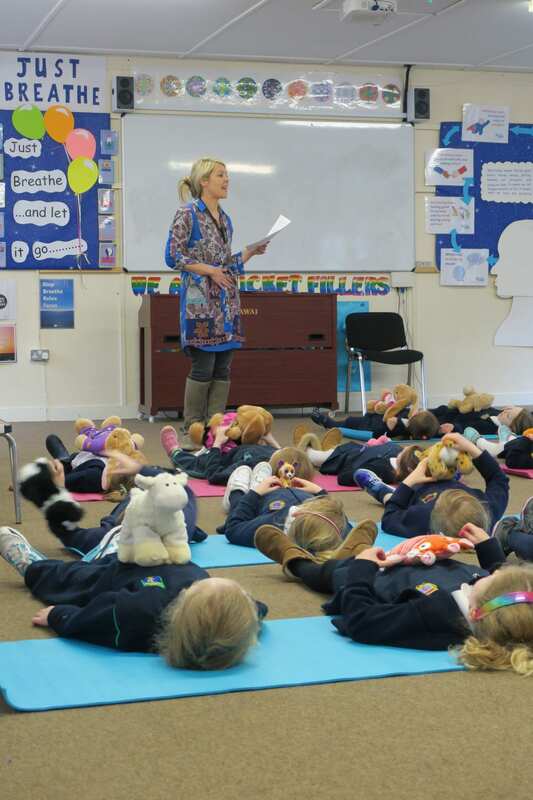 They have also been introduced to Teddy Bear Breathing! 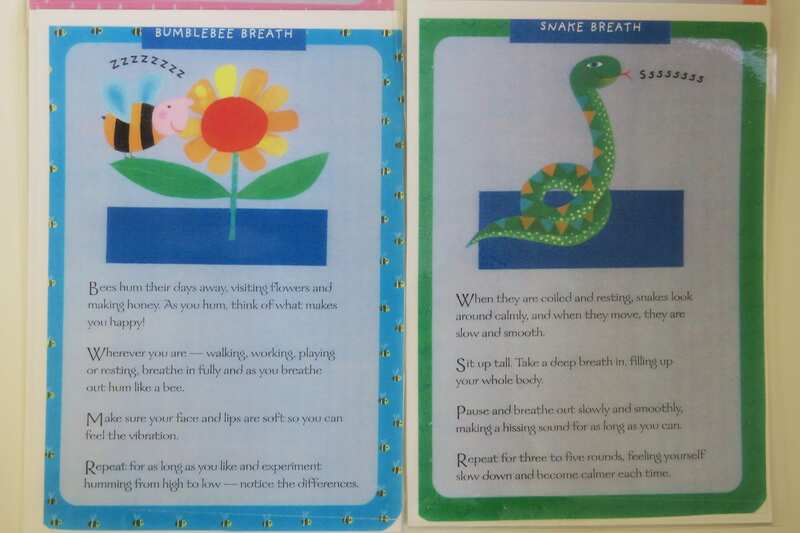 This is a mindful breathing exercise which calms down the nervous system. 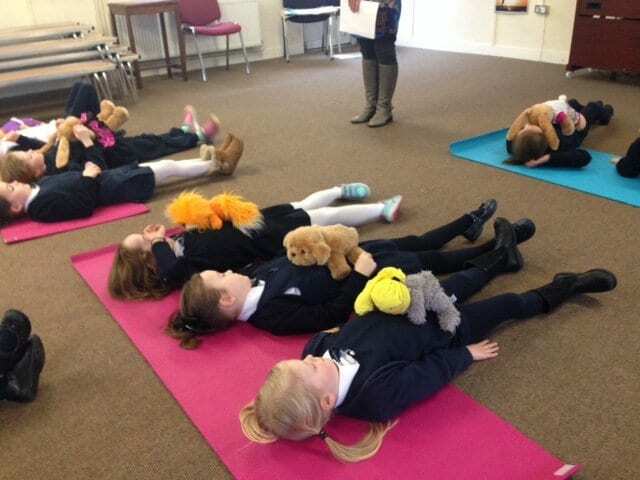 Teddy Bear Belly Breathing helps with focusing skills and shows children that paying attention to their bodies helps them relax. 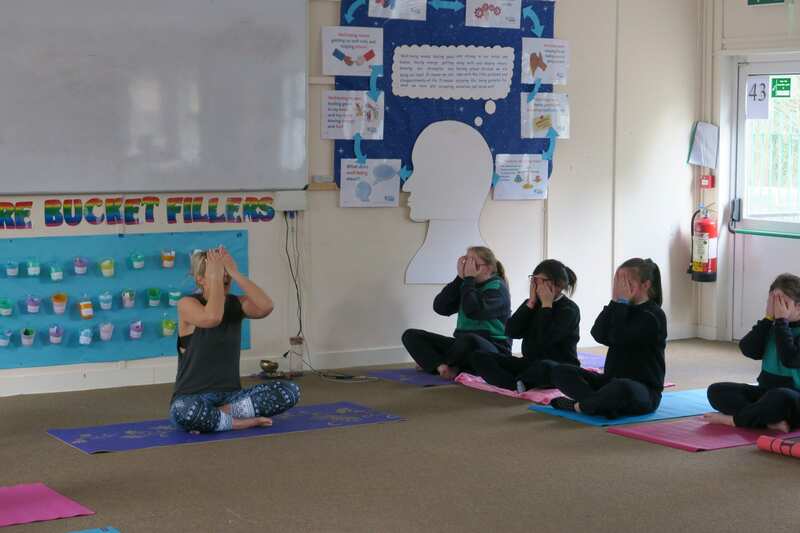 Deep belly-breathing signals the nervous system to relax which then lowers stress and reduces the heart rate and blood pressure. 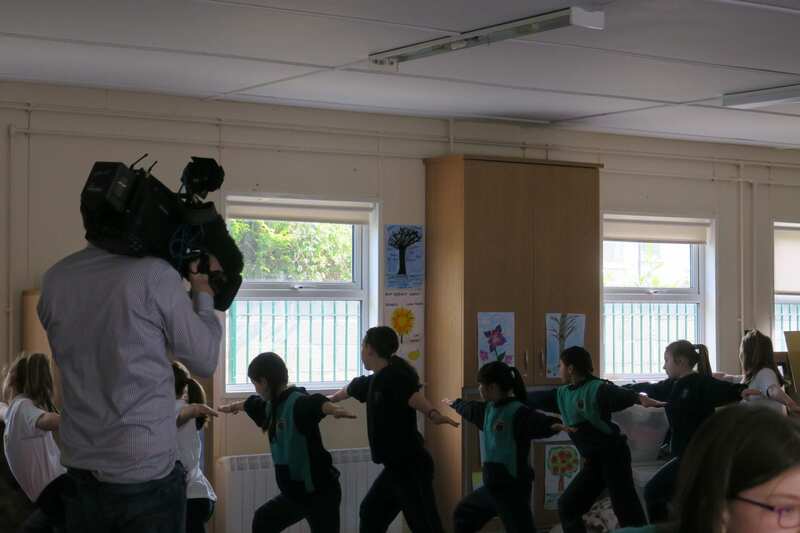 Congratulations to everyone who took part today in showing Tommy and the news2day crew all about our well-being project. 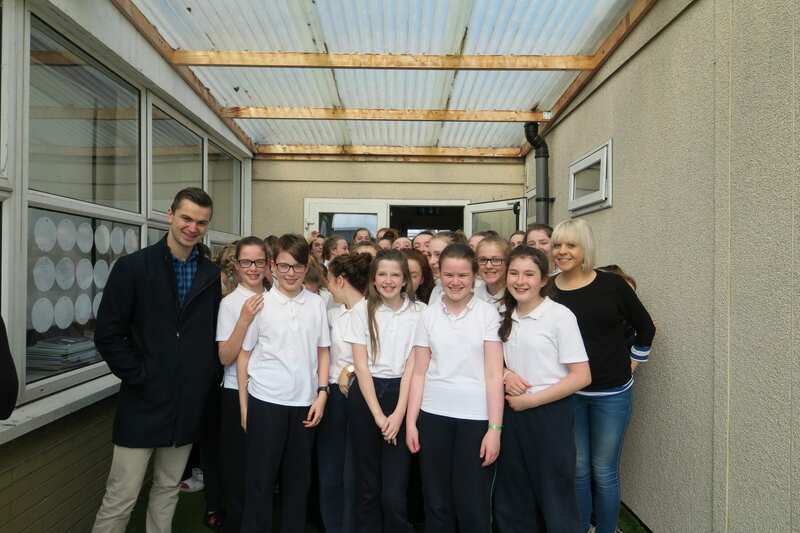 We started the visit with 2nd class presenting the Peace Corner which helps us to resolve little conflicts on our own in a peaceful, calm and positive way. 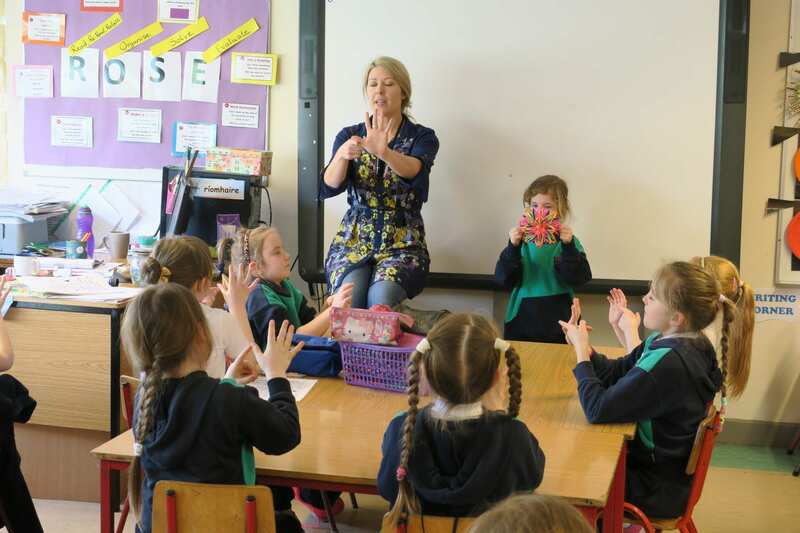 This was followed by 3rd class showing how we use the worry box and the happy box as a way to express your feelings. It’s easy-just pop your worry in the box and let it go! 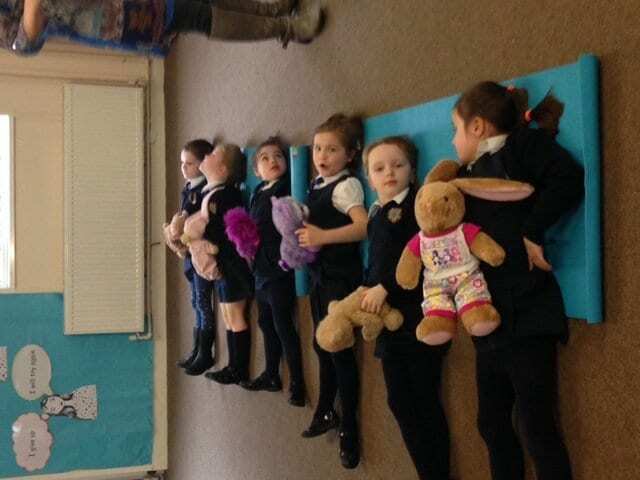 When the daily breathing bell was rung, 1st class demonstrated some of our breathing techniques. We learn a new one every week. 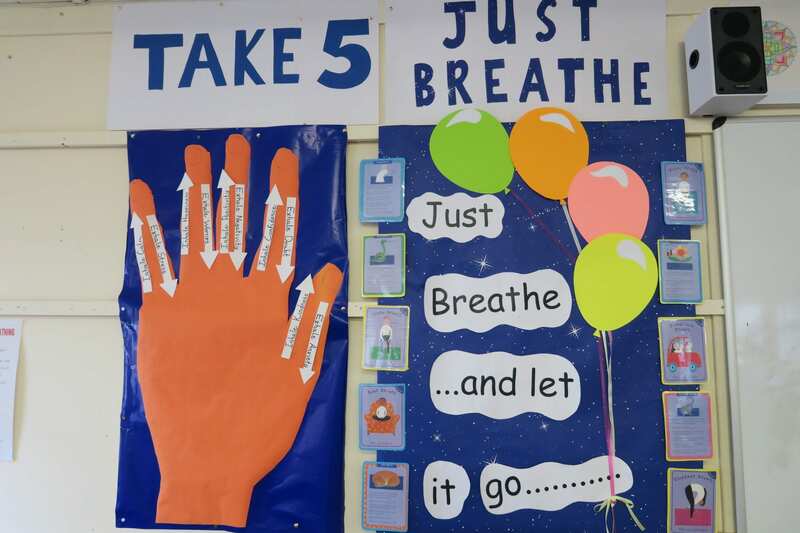 We never knew there was so many ways to breathe. 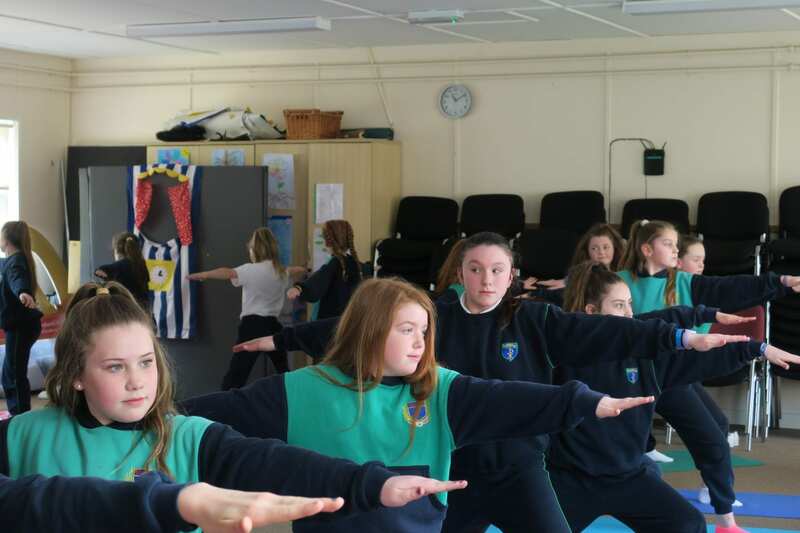 4th and 5th class girls taught Tommy all about the science behind breathing. Did you know that breathing is the remote control to your brain? 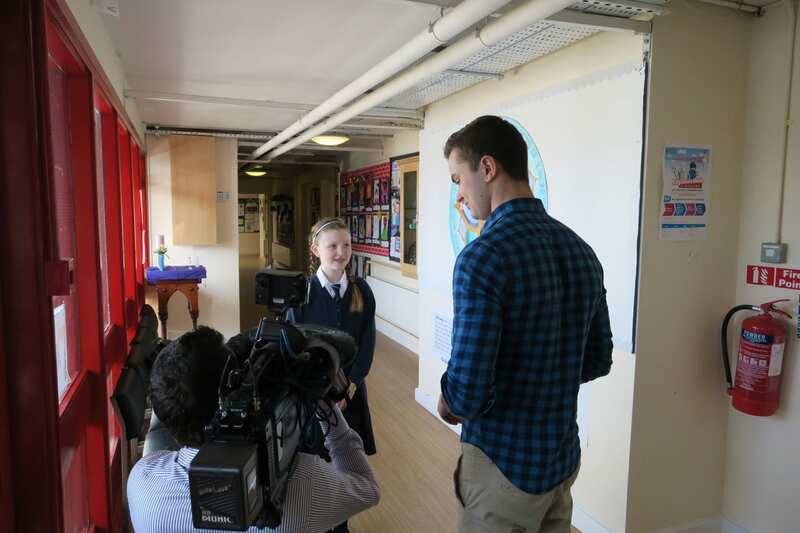 Annabel Fleming (5th class) spoke about how she chose the colours for the winning mandala she designed and which has now become the St Pius X GNS symbol for wholeness, health and harmony. 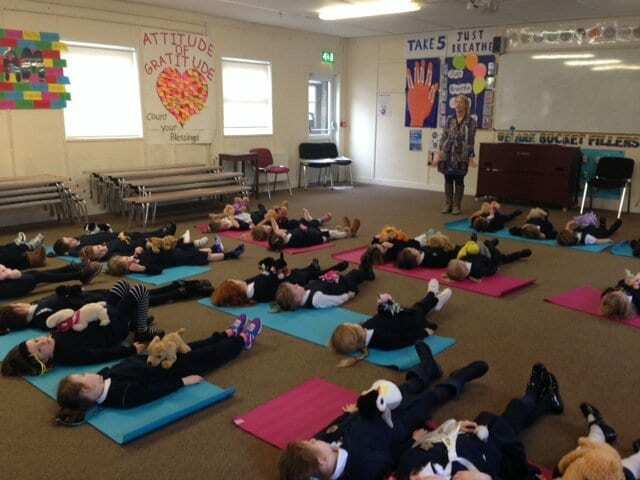 After learning about the mandala we took off to the GP room where the senior infants did some “surfing teddy” breathing followed by 6th class yoga where they demonstrated their warrior poses. 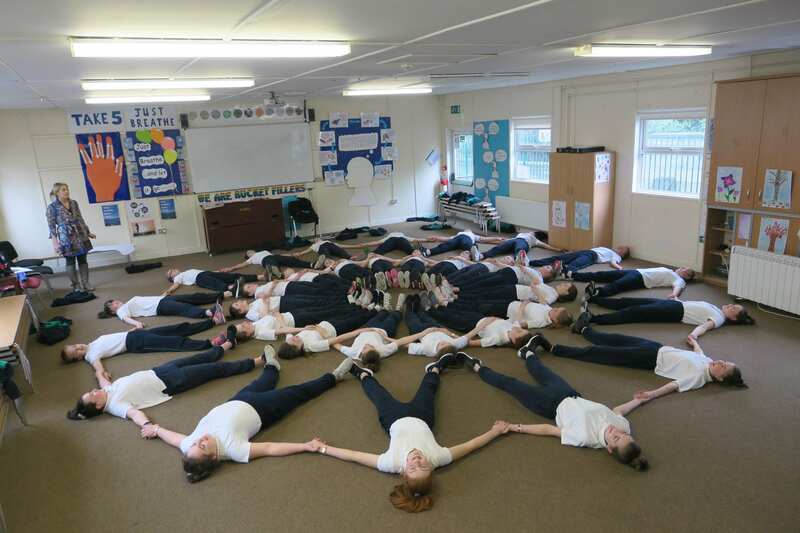 Then it was out to the yard for 6th class to finish off the visit with our human mandala. What a day! 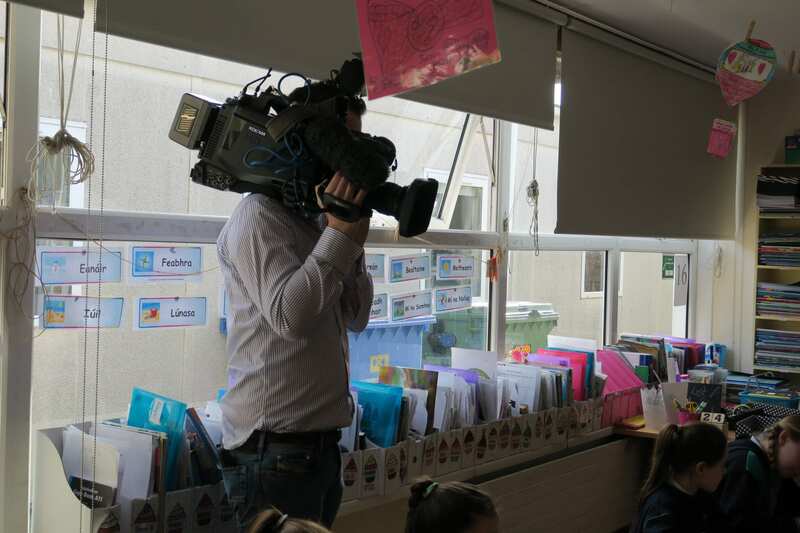 Below is the link to the News2day piece shown on RTE2 on Monday 27th April.